If you are stuck for something to buy a loved one for their birthday look no further. Or perhaps you need a treat to wipe away those credit crunch blues! The Sausage King has found the perfect day out! There is a brilliant organisation near me called Food Safari and you can read all about them on their website but in a nutshell they are all about helping people get closer to the food they eat. My kind of people. 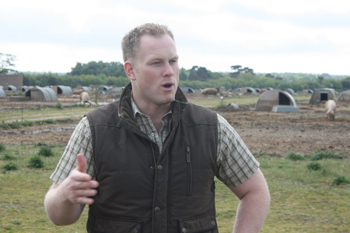 They do a day called Free Range Pork in a Day and I think I’m going to have to get myself along to it. 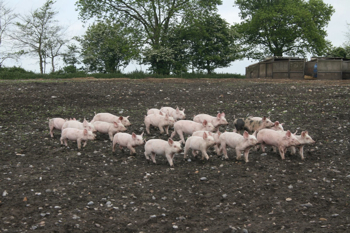 These pigs are at Blythburgh pork where you will meet Alastair and Jimmy Butler who are free range pork champions. 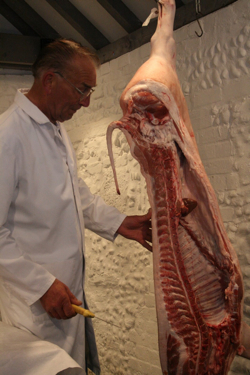 Then you head back to the Food Safari HQ where a traditional butcher gets stuck into some of the Blythburgh pork. After the butchery demonstration you get to make your own lunch! I think this looks like a great day out and a lot of fun. On a more serious note I love it that there are companies like these guys helping get closer to their food. 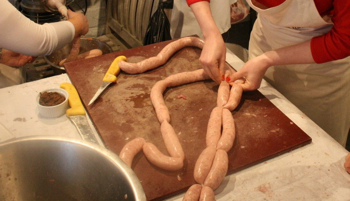 Should I put this on the Sausage King Destinations map? Leave or comment or get in touch using the contact form.